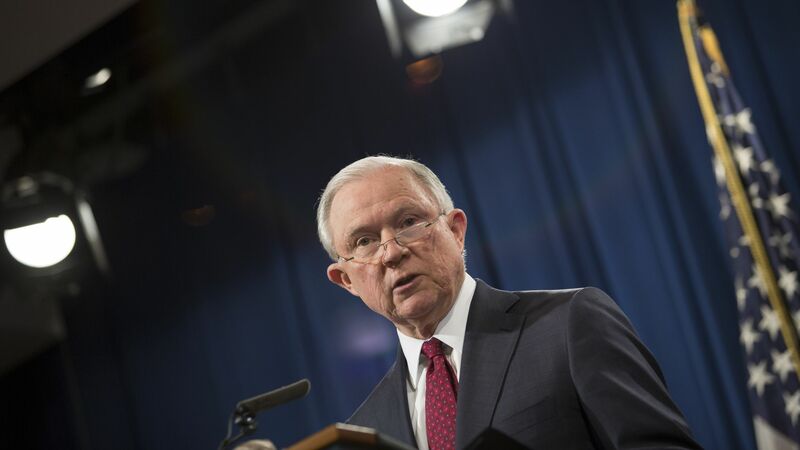 Attorney General Jeff Sessions on Thursday warned that the Justice Department will "vigorously enforce" the federal prohibition of producing undetectable 3D-printed firearms "to the fullest extent." "We will not stand for the evasion, especially the flaunting, of current law and will take action to ensure that individuals who violate the law by making plastic firearms and rendering them undetectable, will be prosecuted to the fullest extent." The backdrop: This stern caution comes a day after Sessions' own department asked a federal court to lift an injunction that blocks the public from downloading the blueprints. Almost a dozen states, led by Washington, have sued the State Department for allowing a pro-gun group to publish the files online, arguing it’s a threat to public safety and that terrorists could use undetectable plastic weapons to evade detection.